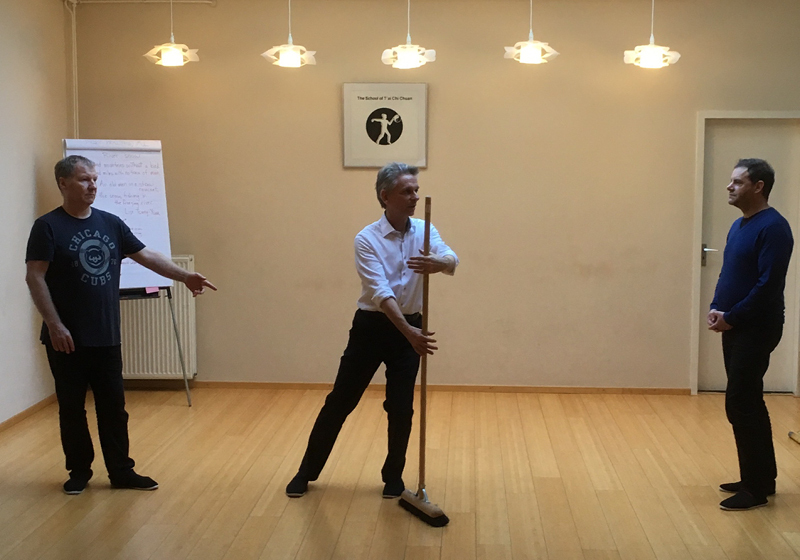 One of the distinctive features of our school is that we strive to teach Tai Chi in teams of at least 2 teachers. This system makes our lessons very easy to follow. In addition, the emphasis during the lessons is on giving clear indications so that it is clear how the movements work. 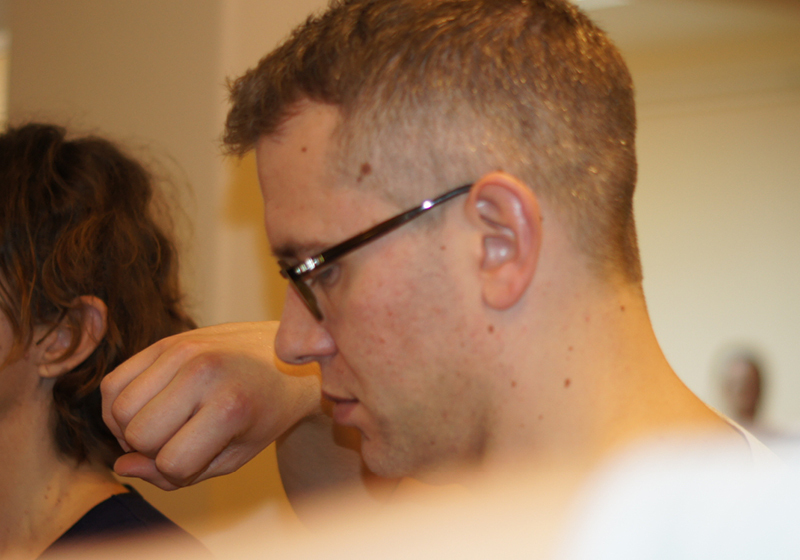 With two or more of our instructors working together in a single class, as a student you always have one instructor to follow, while another instructor guides the class and can thus meet the specific needs of the group. We give a beginner training Tai Chi of 10 weeks four times a year: Autumn, WInter, Spring and Summer, followed by a summer training of one week. We teach in four terms of ten weeks per year. Below you can read all about the content and price of the courses and you can register. 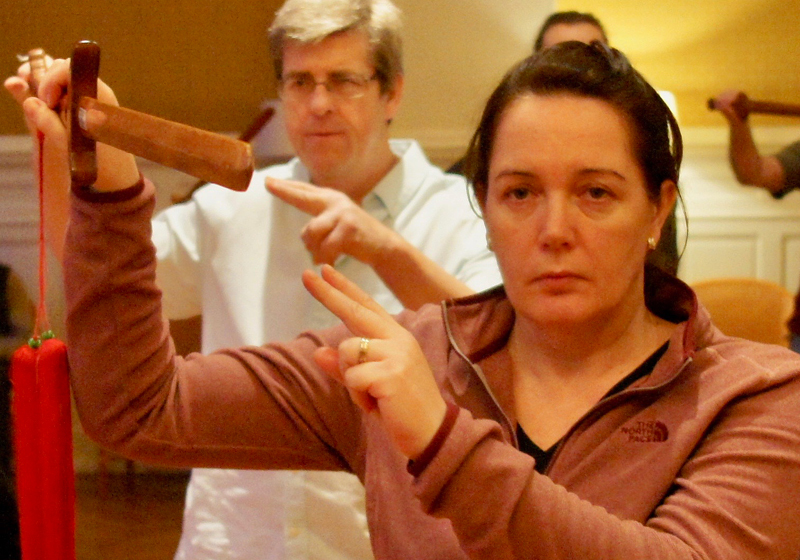 We teach Tai Chi in a carefully constructed curriculum. Ideally you take a next step when you feel reasonably certain about what you have learned in your previous course. If you have questions, don’t hesitate to contact us. Or come to one of our introduction classes. 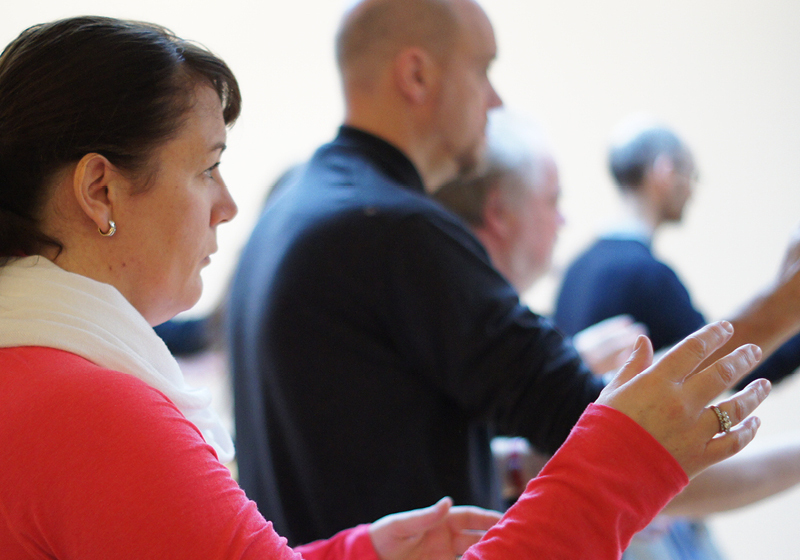 Are you curious about Tai Chi and/or Qi gong, then come to one of our free introduction lessons. Four times a year, at the start of a new period, we offer these kind of sessions. Following these lessons the Beginners 1 courses start. You don’t have to preregister, just show up about 10 minutes ahead of time. Please wear loose fitting clothes and socks. Following the session you can register for a Beginners course if you like. DID YOU MISS THE INTRODUCTION(S)? No problem. To try us out just come to the first class of one of the Beginners 1 courses and take it free of charge. Should you decide to sign up for the course you do pay the full amount of the 10 lesson course. The Yang Style Tai Chi short form consists of 37 posities that are performed in a slow and even pace. The form is divided in three parts: the man part, the earth part and the heaven part. This subdivision refers to Tai Chi as a way for a human being to (learn to) live in harmony between heaven (yang) and earth (yin). During the course Beginners 1 you learn the first part of the form. This is essentially a form in itself. All the principles that make up Tai Chi (qualities that are continually present, like relaxation, straightness etc) will be taught. In the course Beginners 2 (B2) you will learn the second part of the form (the earth part). 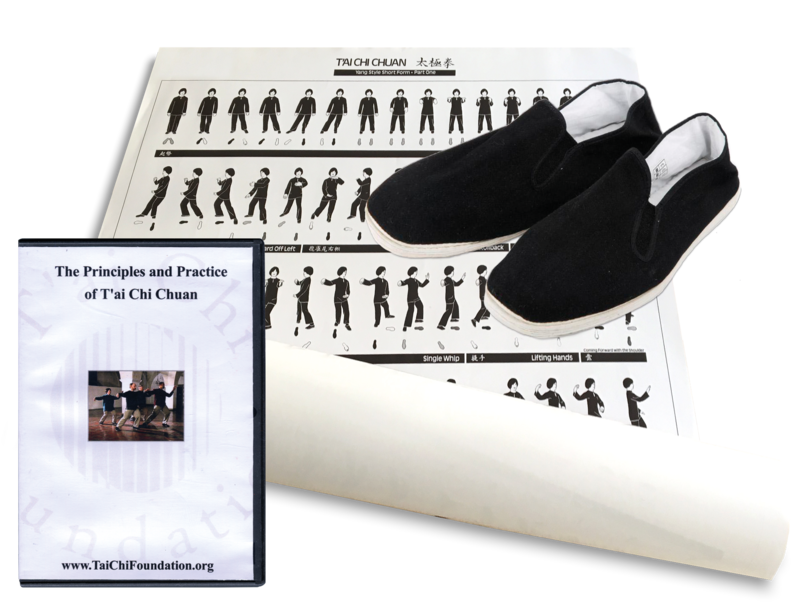 When learning the new movements in this part you will be challenged to stick to and further cultivate the T’ai Chi principles. For example, there are more positions where all your weight is on a single leg and there are steps that require a bigger opening of your hip joint. And just as in the first part of the form, the precision of the positions and movements are an important part. Beginners 3 (B3), also called the “sky part”, we will finish the form. In the first two parts – in addition to the principles – precision of the positions and movements play an important role. In the third part you also have to deal with “more free” positions, where the focus is on the inner quality of the movement. After you have learned the form and have possibly gone through Beginner Form Completed to further your knowledge and embodiment of the choreography of the form. 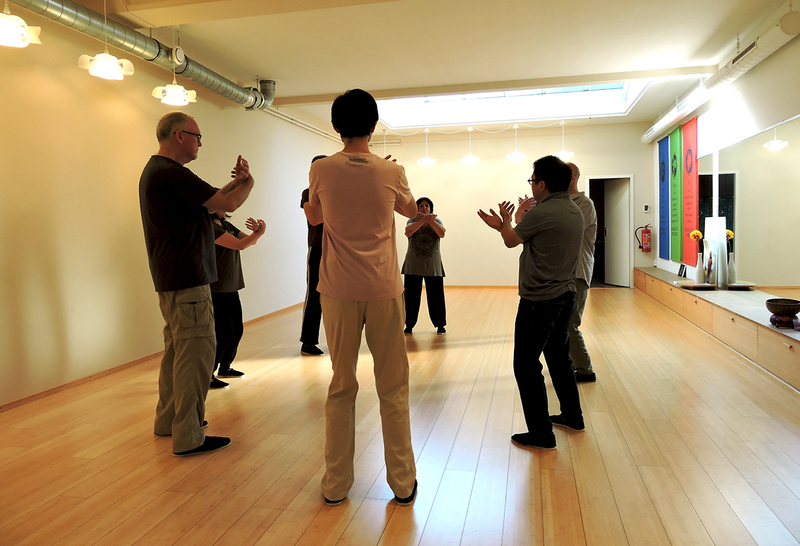 the school offers a wide variety of courses to delve deeper in the study of Tai Chi Chuan. We start with the course called Fundamentals (Fun). Here we work more diligently with the foundation. Just like when building a house, a solid foundation is crucial for the whole structure to uphold. Through an increasingly deeper awareness and relaxation in conjunction with proper alignment of feet, knees, hips and spine your balans can improve significantly. In order to gain more insight in this process you will often work in pairs where you both will give each other feedback. It is important to realise that we assume that you can ‘do’ complete the form by yourself at this stage. Fun1 indicates the first 10 lessons of the course. Fun2 the last 10 lessons of the course. Together they complete the whole course. The price shown is for the complete 20 lessons. Deze cursus is open voor iedereen die PH3 heeft gedaan en de beginselen van de Zwaard Vorm beheerst. Tai Chi Chuan consist of three main practices: the form, push hands and sword. Studying the form you learn about yourself: your health, balans and level of relaxation to name but a few. 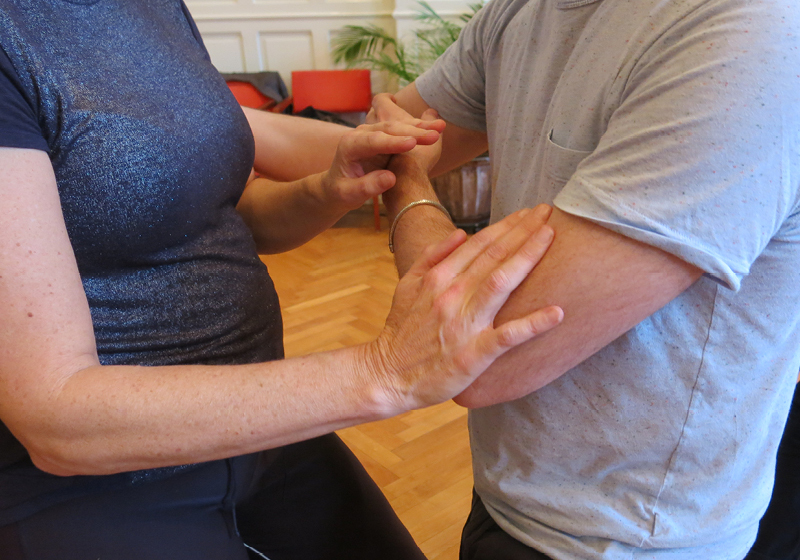 In the various push hands courses you have learned to expand your awareness through working with a partner. What we aim for in this particular class is to refine our ability to sense and follow our partners movements. We would love to hear what you think of our teaching. Enige tijd geleden begonnen met Tai Chi lessen. In het begin 1 keer per week, maar al snel ‘smaakte het naar meer’. De hele vorm inmiddels doorlopen en geniet nog steeds van de uitdagingen en overwinningen. De rust, warmte en gezelligheid in de school motiveren om met elkaar de vorm te ontdekken. Het is een niet meer weg te denken aanvulling op mijn dagelijkse rituelen.